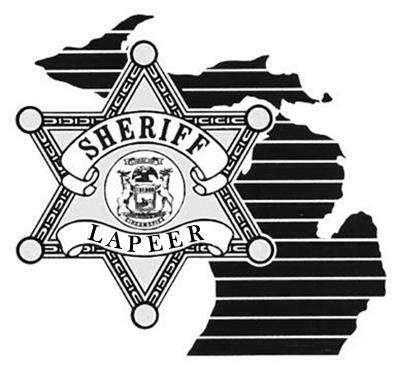 On Wednesday 02-18-2015 at 9:38 AM, Lapeer County Sheriff’s Deputy Troy Covert located an injury traffic crash on N. Lapeer Road south of Barnes Lake Road in Columbiaville (Deerfield Township- Lapeer County) that had not been reported to 911. Marissa Divitto age 20 from North Branch was traveling southbound on N. Lapeer Road driving a 2003 Chrysler Sebring. Marissa Divitto lost control of her vehicle; crossed the center line; and entered the path of a northbound 1997 Chevy van driving by Benjamin Mosher age 54 from Metamora. The vehicle driven by Marissa Divitto was sideways across the northbound lane and the crash is considered broadside. Deerfield Township Fire and Rescue extricated Benjamin Mosher from his vehicle. Marissa Divitto was transported to McLaren- Lapeer by Lapeer County EMS and Benjamin Mosher was transported by Medstar Ambulance Service to McLaren- Lapeer. Marissa Divitto is listed in critical condition and Benjamin Mosher sustained non-life threatening injuries. A trace of light snow and icy roadway conditions were present. The roadway was closed for 2 hours for rescue and investigative purposes. The Lapeer County Sheriff’s Office was assisted at the scene by the Michigan State Police Motor Carrier Division. This crash remains under investigation by the Lapeer County Sheriff’s Office. Anyone with information is urged to contact Detective Sgt. Jason Parks at 810-245-1381 or jparks@lapeercounty.org.